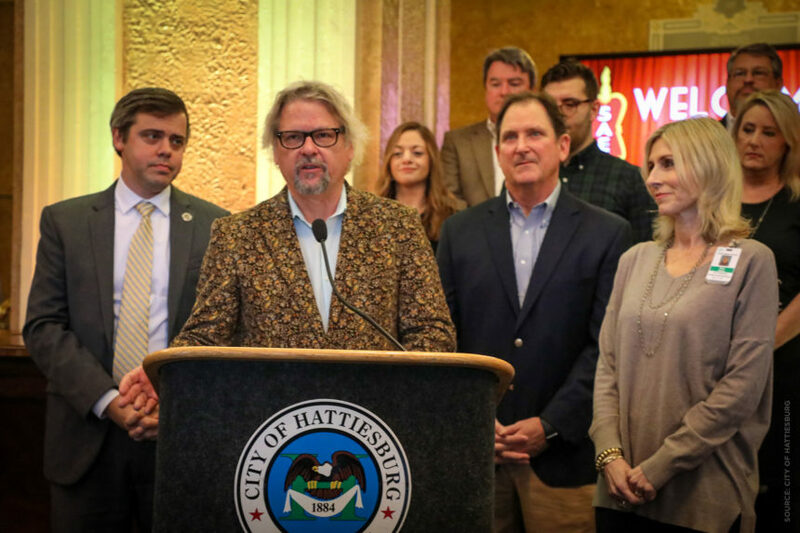 Hattiesburg, Mississippi – On Wednesday morning, Mayor Toby Barker was joined by Arden Barnett of Ardenland Music Productions, Millie Swan of Forrest Health, Hoppy Cole of The First Bank – A National Banking Association and several community businesses and leaders to announce City Lights + Music Nights, a concert series for Hattiesburg. This series was crafted after several conversations between Barker and Barnett about how to tap into the city’s existing music scene while providing more opportunities for residents and visitors to take in a high caliber of talent that other metropolitan cities consistently bring in. and Keb Mo on Tuesday, Sept. 10. 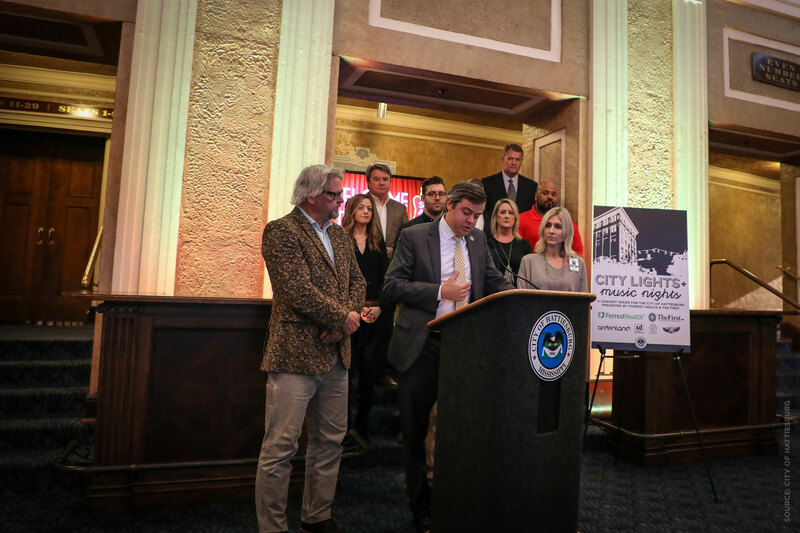 Partnerships and sponsorships by Forrest Health, The First Bank – A National Banking Association, Stokes Distributing, WUSM and T-Bone’s Records & Cafe were integral in making the series happen, along with additional show sponsors from local businesses and organizations.